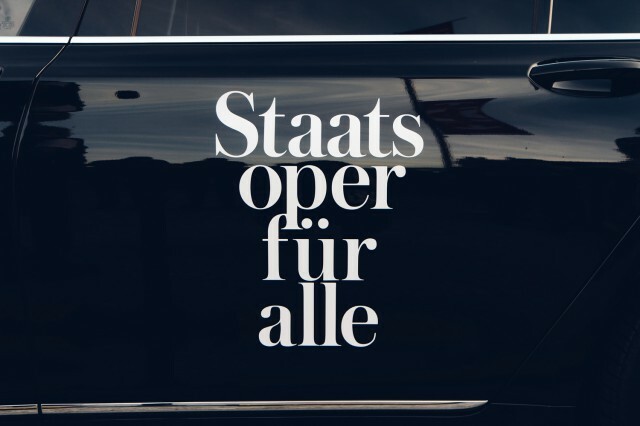 The idea of Staatsoper für Alle is to bring classical music and opera to a large audience and let them have a collective experience right at the historic center of the city. Surrounded by majestic architecture, a bright blue sky and lots of like-minded people who are in love with music these events bring people of all kinds together in one place. On Saturday the 16th at 12h there will be a concert directed by no other than famous orchestra director Daniel Barenboim. The program consists of many highlights of the classical music repertoire. I am really looking forward especially to hear Sacre du Printemps by Igor Stravinsky which is one of my favorite music pieces. 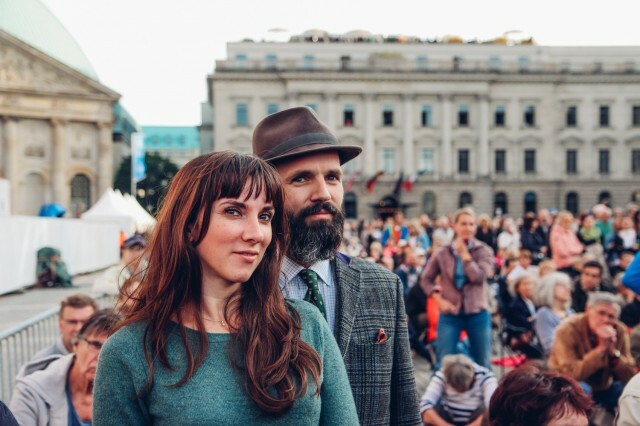 On Sunday the 17th at 18 there will be a cinema-like open-air screening of the opera Macbeth that will be staged simultaneously inside the opera house. The main characters will be played by world famous opera stars Placido Domingo and Anna Netrebko. The whole project which is now already in his 12th edition and is made possible through a long-term commitment of the car manufacturer BMW. 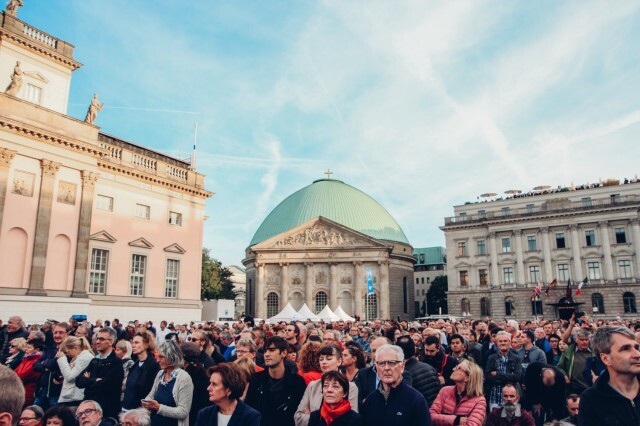 Already half Million people have been guests at these free concerts that really are opening minds and hearts to the classical music world. To participate in the raffle please leave a comment with your favorite classical music piece in the comments until Thursday (June 14, 2018) at midnight. 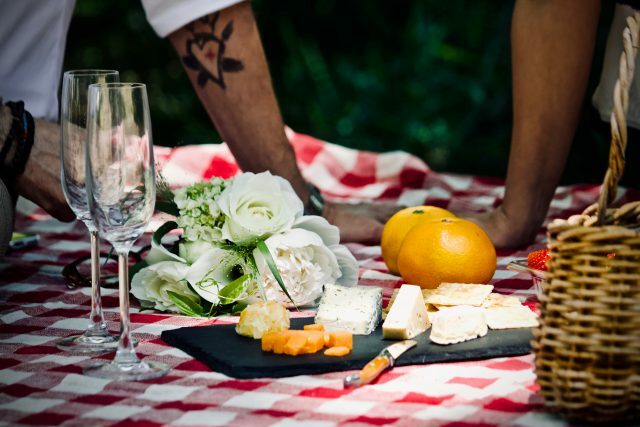 And even if you might not win our picnic it does not mean you can’t have the pleasure to go there. You can bring chairs, snacks and good friends as many as you like to have a unique experience in the historic center of Berlin. 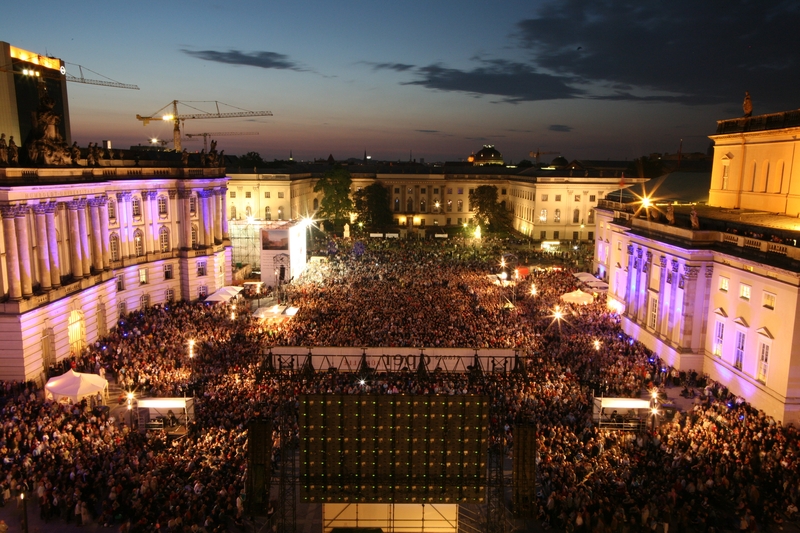 Discover more about Staatsoper für Alle. Ravel “Bolero” – to name just one! Stravinsky – Firebird Suite !! Queen of the Night aria from The Magic Flute by Mozart. I simply LOVE „Ein Sommernachtstraum” from Felix Mendelssohn Bartholdy. Mendelssohn’s Hebrides Overture. Heard it for the first time when I was five. It still makes me feel the same way today. Must go with Mahler’s 8th Symphony, just absolute beauty! Ill have to go with Mahler’s 8th Symphony, that piece is just absolute beauty for me. I would take my girlfriend to the brunch, so I hope that I can gey two tickets! Das Requiem in d-Moll (KV 626) von Mozart – Es ist so schön, dass ich jedesmal denke mein Herz bleibt stehen. Today it’s the second movement of Ravel’s string quartet, tomorrow morning it might be Bach’s Chaconne. On weekends it’s definitely the Sacre, especially when paired with sparkling wine. I have always loved the Piano Quintet in E flat major, Op. 44 from Robert Schumann. It’s a balm for my heart. Nevertheless, my mexican soul will always surrender to Malinconia from Manuel M. Ponce. Please, make me weekend! Since my grandma always played it when I was a kid I think it is Rachmaninow: Piano Concerto no. 2 in C minor. Dvorak 8 is very special for my wife & I. It is the piece we saw preformed in Chicago by the Chicago Symphony Orchestra at their outdoor summer home (Ravinia) the night we got engaged. 6 years ago this summer. My favorite oper is The Magic Flute by Mozart, but I love Verdu, Rossini and Puccini too! Yasssss! My all time favorite is Rachmaninoff’s Symphony No.2, especially the 3rd movement!! h-Moll-Messe by Johann Sebastian Bach, BWV 232, is heaven for me. Oh mio Babbino caro from Puccini’s opera Gianni Schicchi is one of my favorites. Dvorak 8 has special meaning to us. We saw the Chicago Symphony Orchestra preform the piece the night we got engaged (6 years ago) at the CSO’s summer home, Ravinia. Violin concerto Tchaikovsky op 35! One of mine is “Also sprach Zarathustra” by Richard Strauss because of its epic and indelible use in the opening Dawn of Man sequence in Kubrick’s “2001: A Space Odyssey”. “Die kleine Nachtmusik”. Please make my weekend! Hello! 16. June is my birthday) I have a lot of favourite classical music pieces, but most of all I love Concierto de Aranjuez in Paco de Lucia performance. I also love S. Rachmaninov Prelude op. 23 no. 5 in G minor in a performance of Wladimir Ashkenazy. Giacomo Puccini- Nessun Droma obviously!!! Bolero by Ravel because it is majestic! If I had to choose a favorite, I’d say Prokofiev’s Lt Kije Suite. Let’s go with 1812 by Tchaikovsky! “Vier letzte Lieder” von Richard Strauss! Claude Debussy is so beautiful. Staatsoper für Alle..that’s an amazing idea! !👏👏🎶🎼 Chopin nocturne E flat Major is one of my favourite! Carl Orff’s “O Fortuna” aus Carmina Burana . There are a lot of pieces I like. One that I like a lot and listen to often is Antonin Dvorak’s Symphony No. 9 in E minor ‘From the New World’.